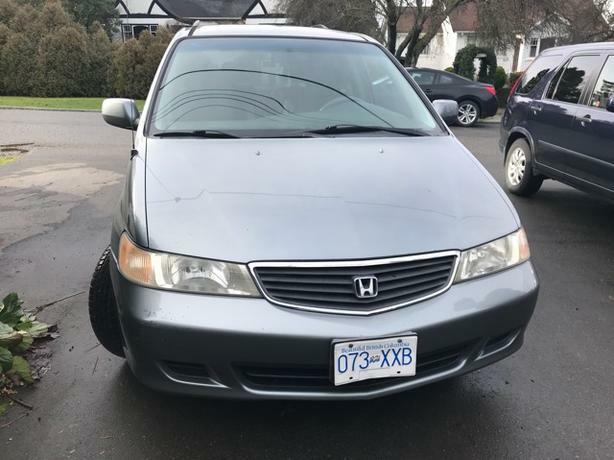 1999 Grey Honda Odyssey. Great shape! 136,000 mi ( 218,000 kms ) New Transmission, new tires, new timing belt, All in van recently serviced!all paperwork! 7 passenger,back seat stows away. Brand new rollers on sliding doors! Automatic. Cruise control,power locks ,power windows.